Last summer, I spent just over one month working as a volunteer with Crees at the Manu Learning Centre (MLC). 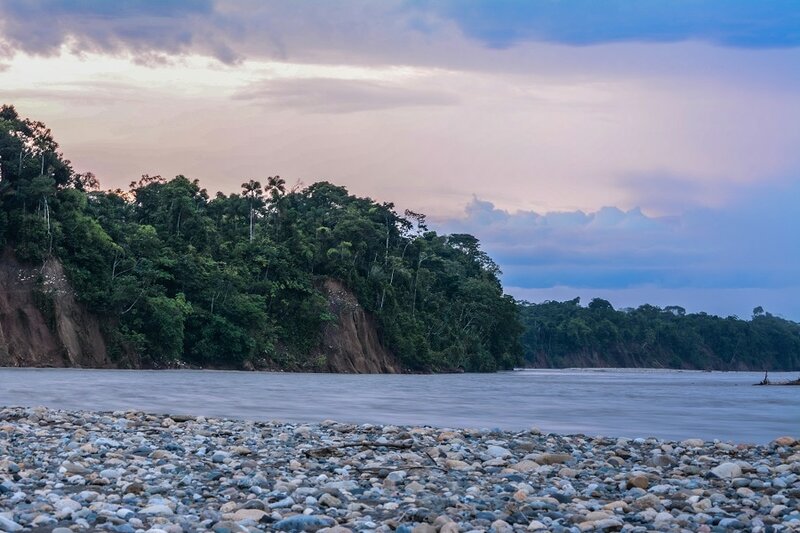 This was the first time that I had travelled solo, and visiting the Amazon Rainforest had always been top of my bucket list – sheer excitement was an understatement! I arrived in Manu alongside 12 other volunteers, who like me, had no idea what the next few weeks would hold. I felt extremely settled the moment we arrived as all of the staff were so welcoming and friendly. From day one we were all immersed in the strong MLC-community spirit. One of my favourite aspects of my volunteering experience was collaborating with people from all walks of life, who had travelled across the globe to make a difference to the regenerating forest of Manu. I made a conscious decision to not look at any photos of the MLC before I went and I thought everything about the centre itself was amazing! The location overlooking the river was breathtaking; sitting in a hammock looking at the view and sleeping under the stars are memories I cherish. The first time I ventured into the jungle was incredible. It was wonderful to witness first-hand an environment that I had learnt so much about, and to be able to experience something entirely new on each trek. One of my favourite highlights was seeing a neotropical otter in the wetland. I learnt that this was the first sighting of this creature in the area for a while! 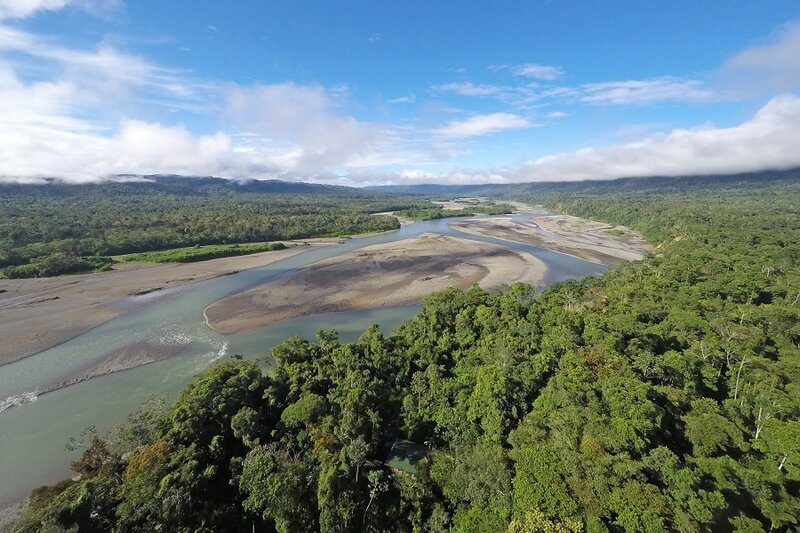 Each volunteer was given the opportunity to take part in the diverse range of projects run at the MLC, ranging from helping in the biogardens in the local town of Salvacion, to monitoring butterflies (with the occasional fish bait shower), to setting up camera traps across the reserve for Tree Top Manu. I was lucky enough to be able to focus my time on one project in particular: The Macaw, Parrot and Parakeet Monitoring Programme. This has been running since 2010 and involves daily monitoring (where possible) of the activity of the birds and tourists at the Mascoitania clay lick near the MLC, known as Colpa. A typical morning on Colpa would involve waking at 4:30am and journeying down the Alto Madre de Dios to the lick before dawn. 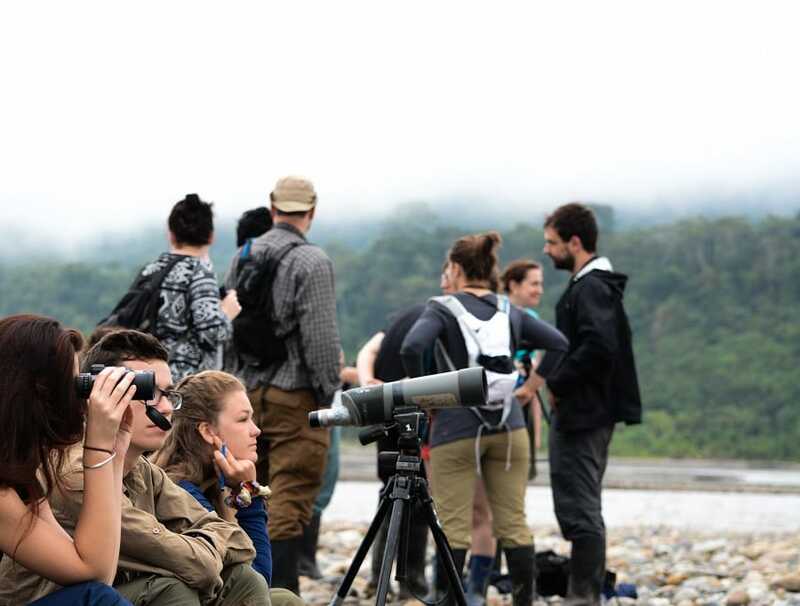 Once settled on the beach, concealed by the observation blind, the volunteers and field staff would sit and watch the sunrise light up the lick, waiting and listening for the first birds to fly over the river. Starting a day’s work in such a peaceful way was undoubtedly one of my favourite parts of being at the MLC. 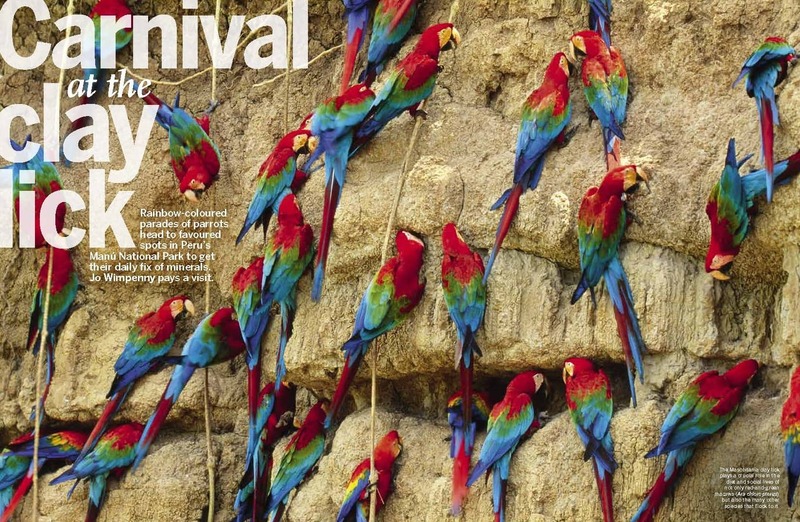 The macaw monitoring involved three separate surveys: Arrivals, Landing and Ecotourism. We recorded the numbers of birds, species type and time of arrival into the area. Secondly we would record the number of landings on the lick itself, making note of the landing time, species type, number of individuals, duration of feed and the location of feed along the lick. The third study involved recording the arrival time of visitors to the site, group numbers and their activity when on the beach. Daily data collection would usually last about two hours, until all the birds had vacated the area, at which time we would pack up and return to the MLC for a hard-earned breakfast. The least studied of the macaw species is considered to be the Blue-headed Macaw, which has been monitored as part of the Crees Colpa programme. I chose to research this vulnerable bird and explore the severity of the current human and environmental threats facing this species for my undergraduate dissertation. My research found that over the last few years there has been a marked decrease in the flock number and sighting frequency of this rare bird at Mascoitania. I was only fortunate enough to observe this species once during my time with Crees, which so happened to be my last morning at Colpa before I left the jungle! 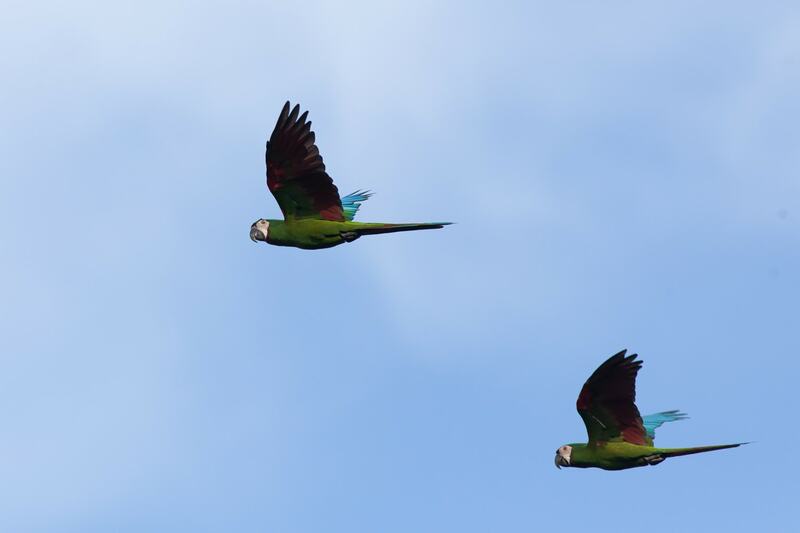 I also found that whilst ecotourism at Mascoitania is essential for local livelhoods and for raising awareness about environmental issues, levels of disruptive tourism are rising and this is having a negative localised impact on Blue-headed Macaws, by disturbing feeding birds and deterring them from undertaking their natural geophagia routine. Although the future of this species is uncertain, it is thanks to the crucial work of Crees staff and countless volunteers that there are solid datasets which can be used to monitor the health of such species. 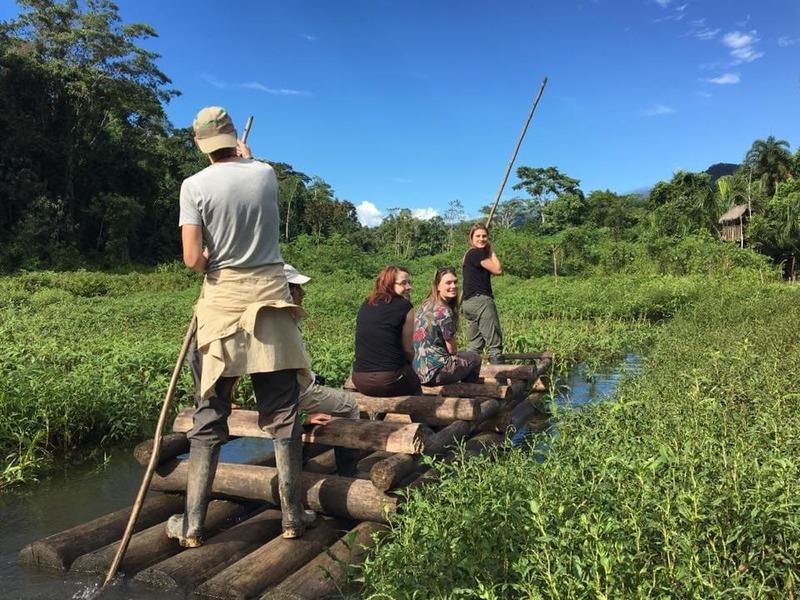 My experience in the Peruvian Amazon is definitely the reason why I want to pursue a career in conservation. Deciding to volunteer was undoubtedly one of the best decisions I have ever made. Although it was, at times, a tough experience with long days of hard work, I was given opportunity to work alongside passionate individuals who were all working towards the same goal of conserving such an awe-inspiring environment.